International Brotherhood of TeamstersFacebook driver Jimmy Maerina stand in front of his bus. Facebook’s shuttle bus drivers have voted to unionize, reports USA Today. 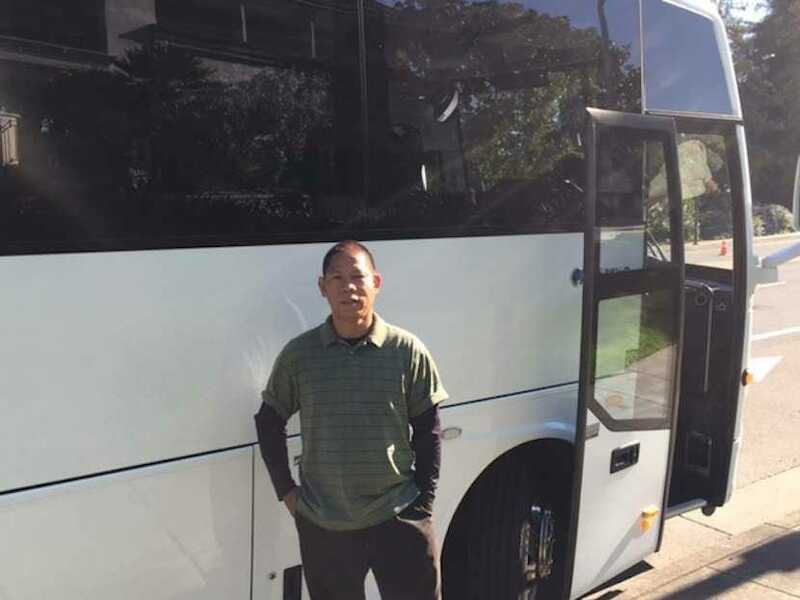 Facebook’s shuttle bus drivers, which are contracted through Loop Transportation, earn about $US20 an hour for driving the social network’s employees around. According to one driver, their main gripe is that they have to work split shifts — they get a few hours off in the middle of the day, but can’t work another job during that time and they all live too far away to commute back home. So in effect they end up working from 5:30 a.m. to 8:45 p.m., and some drivers end up sleeping in their buses. Facebook isn’t the only Silicon Valley company to employ contractors as a cost-saving measure. Apple uses security contractors at its offices. Those contractors allege they’re underpaid and that they have no job security. Facebook’s drivers will be represented by Teamsters Local 853.